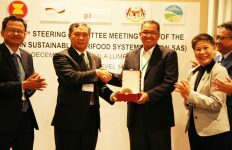 Upon the completion of ASEAN Sustainable Agrifood Systems (ASEAN SAS), the project in collaboration with Thailand Department of Agriculture will conduct the Regional Knowledge Sharing Consultation in April 2017, which is one of the project activities agreed at its 8th Steering Committee Meeting (SCM) attended by delegates of Ministries of Agriculture from ASEAN Member States. 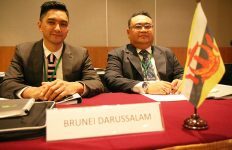 The SCM was hosted by Department of Agriculture of the Ministry of Agriculture and Agro-based Industry, Malaysia, GIZ and ASEAN Secretariat on 7-8 December 2016 and held for the first time in Malaysia’s Kuala Lumpur. “We would like to look at the topic of ASEAN sustainable agrifood systems beyond our project and promote it further to partners who address similar concerns and in a broader context,” said Mr. Suriyan Vichitlekarn, Senior Regional Advisor of ASEAN SAS. 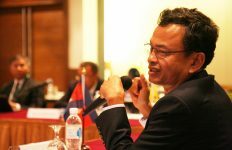 “At the end of 2017 it will be the end of this project’s phase and we would like to use the project completion as a platform to discuss how various issues related to sustainable agrifood systems in ASEAN could be linked and developed as the policy and recommendations as part of supporting food security and competiveness of agriculture particularly crop sector in ASEAN,” said Mr. Suriyan. 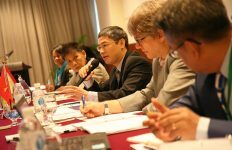 The Regional Knowledge Sharing Consultation was one of the project’s future activities proposed to the Steering Committee members for their support at the recent SCM. 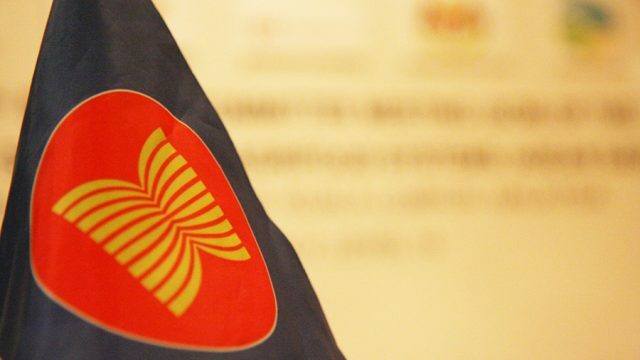 The countries attended included Brunei Darussalam, Cambodia, Lao PDR, Malaysia, Myanmar, the Philippines, Thailand and Vietnam. 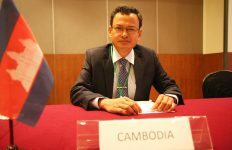 Mr. Soeun Mak, Deputy Director General of General Directorate of Agriculture (GDA), Ministry of Agriculture, Forestry and Fisheries, Cambodia said Cambodia would support the coordination and facilitation in transferring the knowledge and output and outcome of the project. 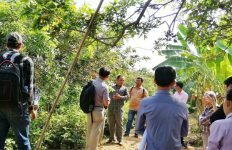 Among the 2017 activities, ASEAN Cooperation on Crops website would be established to share successful sustainable technologies and management systems to facilitate and strengthen the cooperation on this topic among ASEAN Member States. 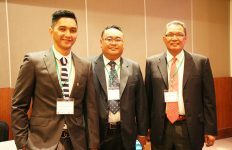 The website would integrate information that contributed to promoting sustainable agrifood systems as well as the ASEAN Bio-Inputs Database which now exists in the ASEAN SAS website. 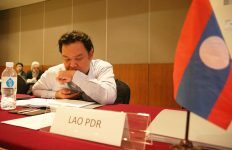 Thailand’s Department of Agriculture is designated to host the ASEAN Cooperation on Crops website with technical support from ASEAN SAS. 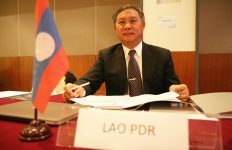 Thailand will appoint a regional focal point to serve as the website and database manager for the ASEAN Cooperation on Crops website and bio input database. 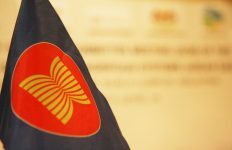 Each ASEAN Member State will appoint the national focal point to coordinate with expert groups in the country for update on activities, upcoming events, including photos and videos and also to screen the contents before submission to the regional focal point for posting in the website. Regarding SCM, Dr. Surmsuk Salakpetch, Deputy Director General of Department of Agriculture, Thailand said: “Having the committee in steering the project is very important in order to keep track on the progress of the project, and also to help find solutions when there are challenges and obstacles to push the project forward. 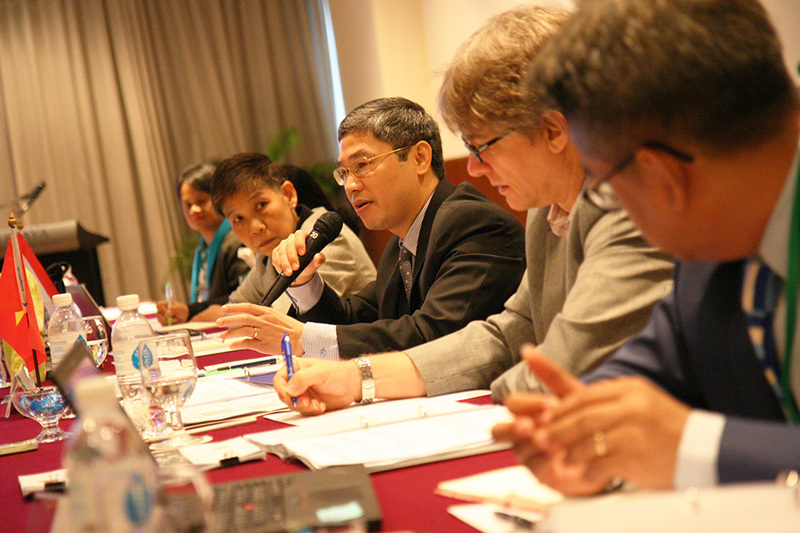 “In my opinion, the recent steering committee meeting is better than the other previous ones. I think the representatives who attended the meetings become to know their roles and responsibilities better. 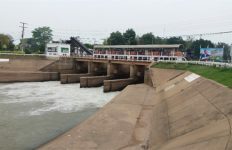 In the previous meetings, it was a usual case to have a few new faces coming and going, and when people did not understand about the project well enough, it was possible that when they took their roles as the steering committee at the meetings, they would talk in a way that was not a focus or the interest of the project, and it could take a lot of time in discussing what was not quite relevant to the project itself. 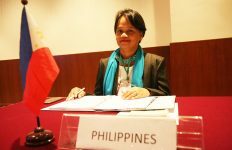 “Therefore, to receive fruitful opinions from the steering committees that are the focal points of each ASEAN Member States, their roles and responsibilities have to be well stated. Like this recent meeting, it flew quite smoothly and in the meantime met the objectives and the programme agenda of the meeting. 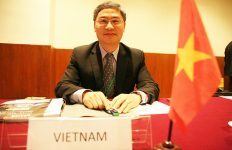 And everyone stayed quite in focus to the agenda and voices their ideas and suggestions very actively and reciprocally, which made the discussion and the meeting very productive and very interesting,” said Dr. Surmsuk. 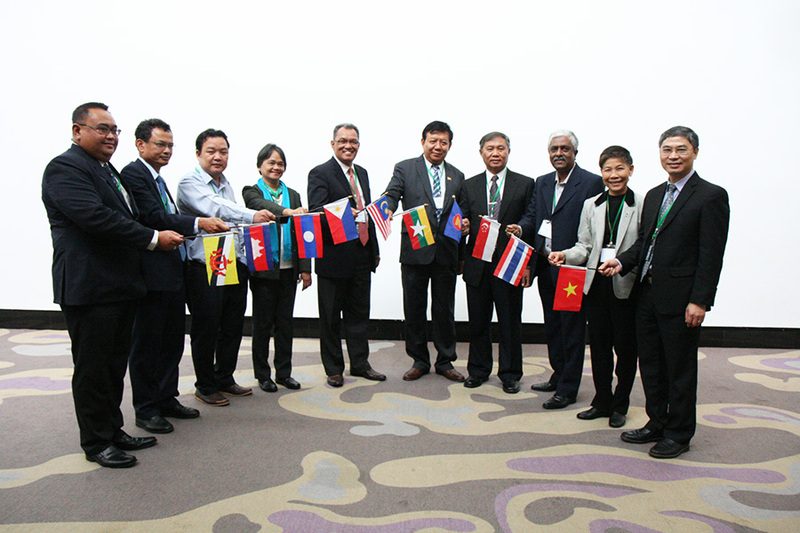 Thailand agreed to host the 9th SCM at the end of April 2017 in Bangkok. The Regional Knowledge Sharing Consultation on Sustainable Agrifood Systems will be organised back to back with the 9th SCM. 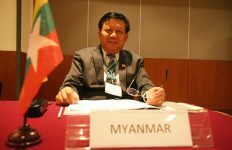 “When I first joined the steering committee of ASEAN SAS project which is three years ago, I admitted that I like the name very much. 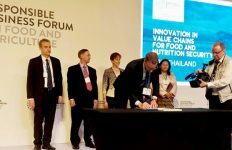 Its name, Sustainable Agrifood Systems, covers the whole system of agriculture and we can do so many things under this name for ASEAN Member countries. And, the key word is sustainable. “Now, roughly one year remains till the end of project. And one of the key successes whether the project will be succeeded or not is the steering committee and the advices from the committee. 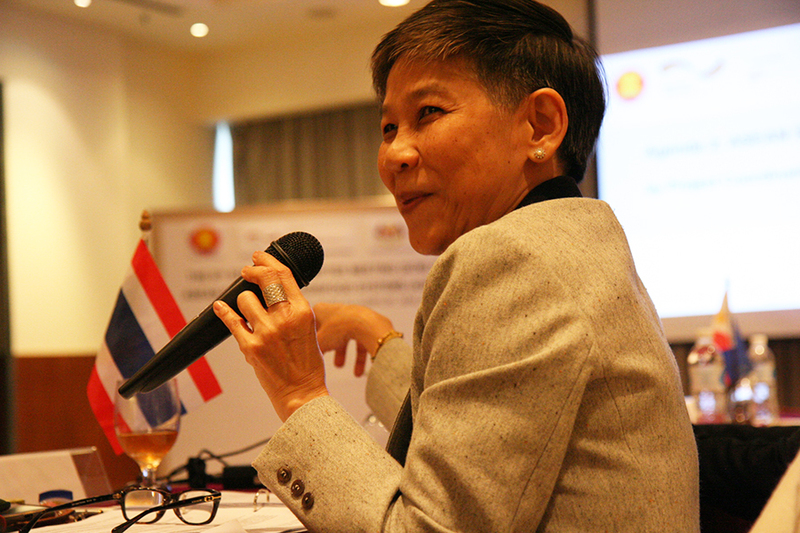 It is left to project how the meeting’s discussion and advice would be well taken and how the project team could push and deliver in this one year a tangible result to meet its well set objectives,” said Deputy Director General Dr. Surmsuk of Department of Agriculture, Thailand.